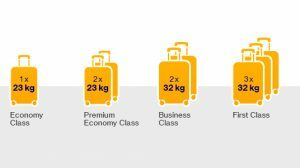 Cabin baggage (carry-on bag) for business class is 7 Kg and 5 Kg for economy class. Carry-on bags should not exceed 45 linear inches (the total of the height, width, and depth of the bag). Larger bags must be checked. 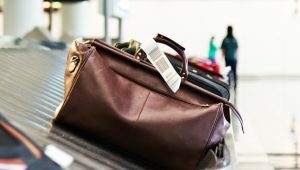 You can find information about baggage allowances for different Iranian airlines, prohibited items, and sports equipment on your airline's website. For a comprehensive list of permitted and prohibited items in carry-on and checked baggage, please read the Transportation Security Administration's Prohibited Items for domestic flights in Iran. *Departing from and arriving at all Iran airports. If your domestic flight is ticketed by one airline but operated by another, the fees and baggage policy for your entire trip are those of the ticketing airline. For trips booked with multiple airlines, you might pay different baggage fees for your outbound and return domestic flights.